You care about the customer experience. But is the experience you’re creating the one your customers actually want? 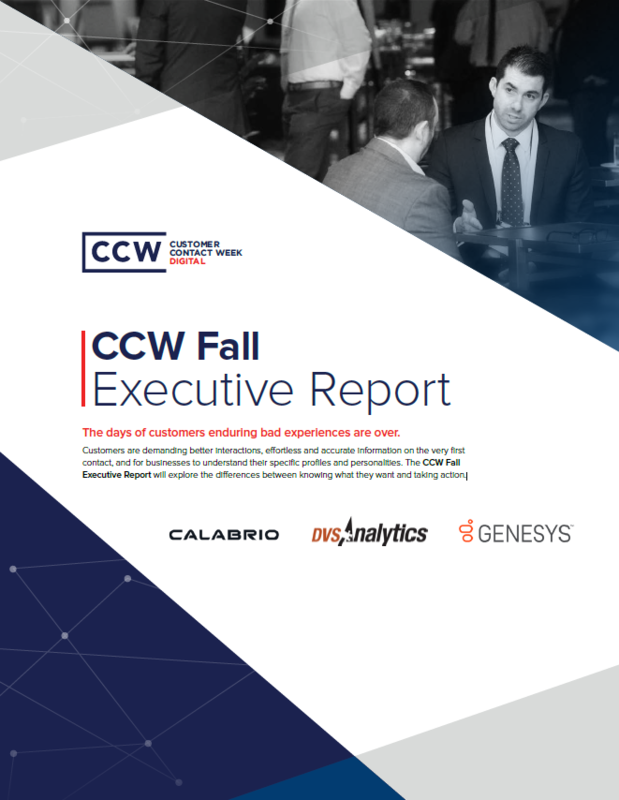 CCW Digital’s Executive Report on the Customer Experience will answer that question. For the first time ever, we surveyed everyday consumers about what they demand when it comes to the customer experience. We then look at how businesses are approaching the customer experience. Do they know what customers want? And even if they do, are they able to actually deliver it? How many bad experiences will make a customer switch to a competitor? Will customers really pay more for a good experience? What are customers’ Top 5 demands when interacting with a business? What factors prevent businesses from meeting those demands? What are the most common customer complaints? How well do businesses respond to customer feedback? How do customers really feel about calling for customer service?